Worried if your parents are taking medication on time? Do not know if your child is over stressed due to studies and need some support? Do not worry! With the help of our EMR EHR PHR – Digital Wallet you can keep a track of your loved one’s health and live a happy life. Reduce fear of losing or misplacing vital health information. 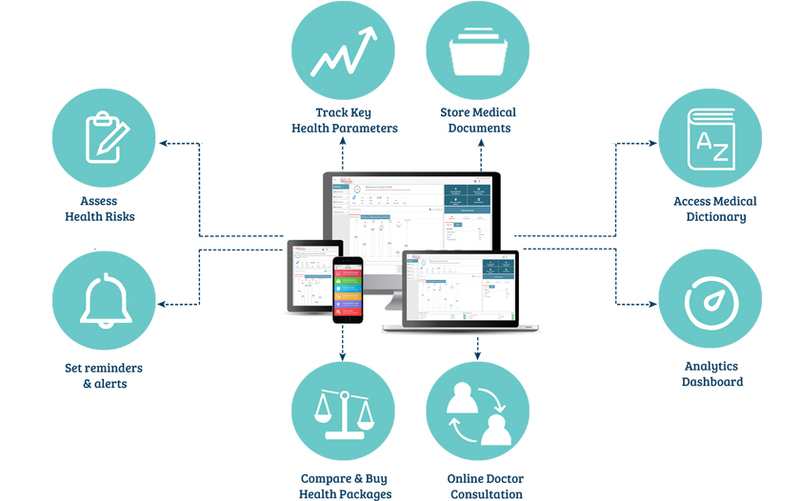 Manage self and family health data and access from anywhere in the world. Worried about misplacing your files and records? Do not worry, we have a solution for you. All you have to do is take a picture of the record using our Health app. It will be converted automatically into a digital format and stored in our cloud(EMR). You can then easily share these EMR EHR PHR with your trusted doctors anytime and from anywhere. Free from the hassle of keeping a record of all those physical copies. Do you have any health related concern/query? Do you want to get a second opinion on any of your health related issue? Our health expert are there to assist you 24X7. All you have to do share your concern over a chat or directly connect with them over the phone and they will be happy to help you. With our automated reminder system you need not to keep a record of when your parent’s next visit to doctor is scheduled or when is their next health check up or medication due. We will take care of all of it for you. When using AllizHealth, you need not to go anywhere else to manage yours and your family’s health. We provide services like online booking of health packages, access to fitness and wellness centers or consulting a doctor for second opinion. All these services at a discounted price. 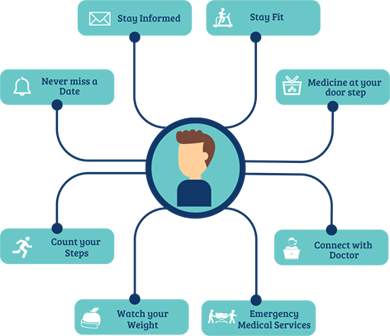 Not only this, AllizHealth also provides you with tools and tracker to keep a tap on yours and your family’s health so that you can live a tension free life. In case you have any pre-existing conditions, do not worry, we have various condition management programs like diet management, diabetes management plan in place specially customized to suite your requirement. You can even order your medicines online or can request for any emergency medical services and our partners will always be there to help you.